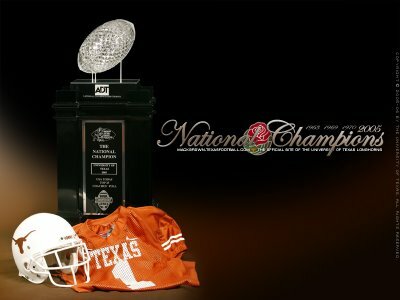 After so many near misses, the questions surrounding Mack Brown and the Texas Longhorns had reached a fever pitch by 2004. Still, the questions lingered. This dramatic highlights video addresses those questions and answers them with a compilation of the most memorable plays from the Longhorns 2005 championship season. Amidst the flood of highlight videos that have emerged since the Rose Bowl, The Texas Passion and The Horns Sound are sure to endure the test of time--they've at least endured the test of me watching them over and over again and making me smile every time. Either way, future generations of Longhorns will need only these two clips to learn everything you need to know about Vine Young and championship team.